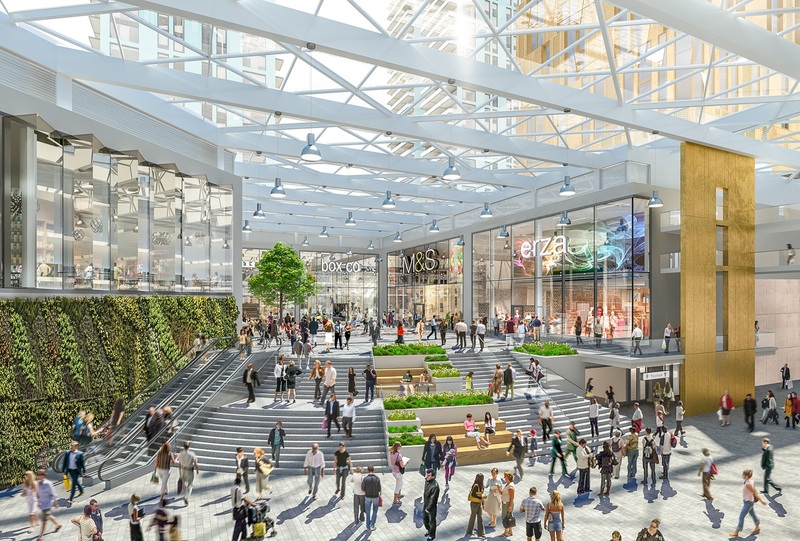 THE redevelopment of Woking town centre has moved an important step forward with retail giant Marks & Spencer signing a lease for a two-storey 50,000sq ft food and clothes store in the plush Victoria Square complex. 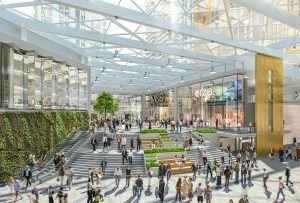 The deal means that the superstore is now a certainty for the base of the £460million development that will include a 196-room Hilton Woking hotel and 390 apartments. David Ayre, Property Manager at Marks & Spencer, said: “We’re really looking forward to work starting on our store later on this summer. The Victoria Square development, comprising the former Woking Market, Post Office, Globe House, Woking Fire Station and part of the existing Wolsey Place Shopping Centre, will be delivered by Bandstand Square Developments Ltd, a joint venture between Moyallen, owners of Peacocks Shopping Centre, and Woking Borough Council. Various stores in the Wolsey, including Boots, will be moving over the next six weeks to help to ease the building. Council chief executive Ray Morgan said he wanted to emphasise that the town centre was open for business during the inevitable disruption, including road closures and diversions. Mr Morgan said that residents were being put off from coming into the town centre because of negative headlines about the changes. He said there was a particularly difficult day in January, but that was mostly down to problems on the M25 that had knock-on effects. “We do want to discourage through-traffic; using the A320 as a cut-through from the A3 to the M25. But we want to encourage people to continue to come into the town for work, leisure or retail therapy,” Mr Morgan said. He said there would be further announcements about changes to the roads, including having a bus lane on the far left of Victoria Way between Lockfield Drive and the pedestrian crossing near the New Victoria Theatre. There would be a bus stop near the Bedser Bridge across the Basingstoke Canal to allow easier pedestrian access to that part of the town. Mr Morgan said that the new apartments would be for rent only and would cost about £1,800 a month for a two-bedroom home. He said these would be aimed at couples, aged in the 22 to 38 bracket, who both had jobs and might want to share with another couple. There would be other accommodation in the town centre that would be targeted at people with lower incomes.